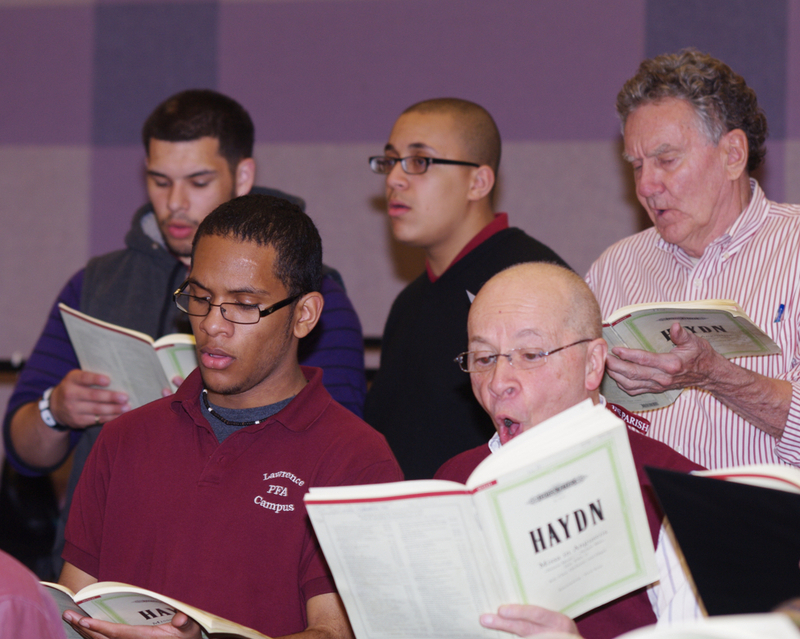 New England Classical Singers is committed to the community we serve, and the organization works to give back through a variety of local efforts, including workshops, classes and guest speakers. NECS is also proud to partner with local high school students, to celebrate music in our communities and bring the tradition of classical music to the next generation. 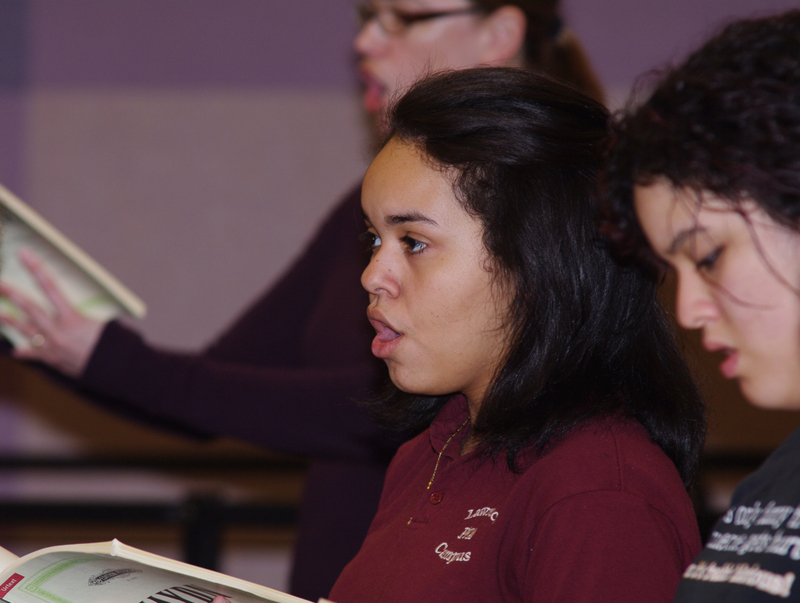 NECS has partnered with the Lawrence High School Girls’ Ensemble for the performance major choral works each spring for more than a decade. Often, this is the first time local students are exposed to such challenging material, and it has been incredibly rewarding for all parties to work together to master complex works of music. 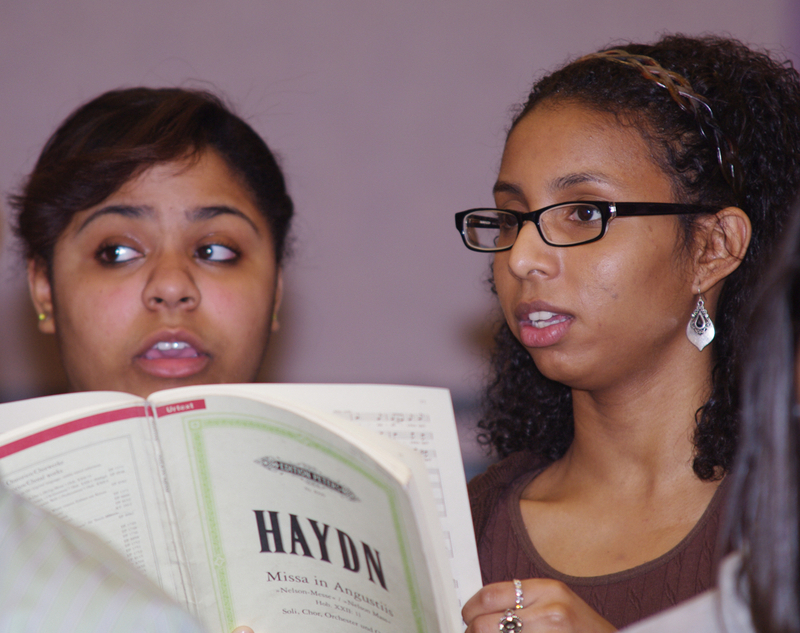 This program gives high school students the opportunity to work with renowned soloists and guest artists, and learn from their teachings along with lessons from our esteemed Artistic Director, David Hodgkins. NECS continues to seek new ways to expand its outreach program. In addition to our annual May concert with LHS Girls’ Ensemble, last year NECS collaborated with Temple Emanuel in Andover, providing middle-school workshops prior to our performance of James Whibourn’s Annelies, the compelling story of Anne Frank’s life.